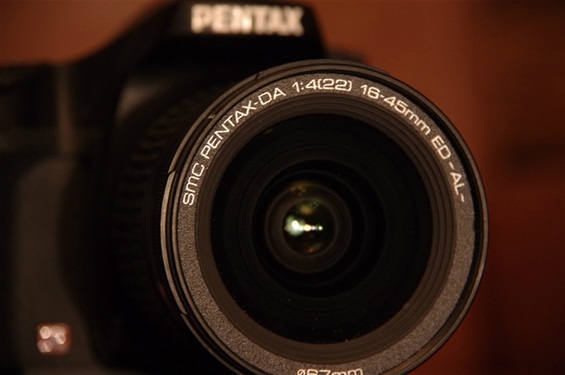 After working with Hewlett Packard on their first digital project, Pentax turned to Samsung to cooperate on the next step. 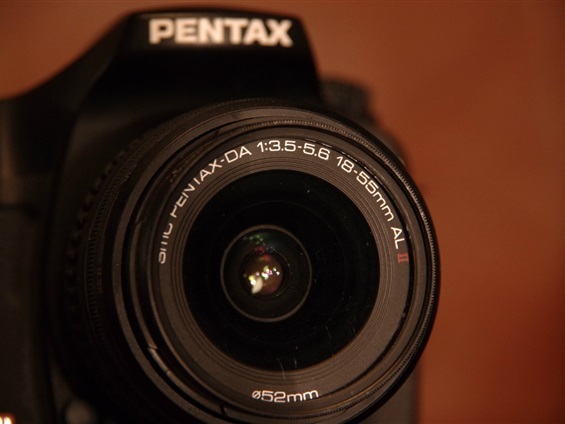 With the digital K in 2006, Pentax marked their breakthrough in the digital world. 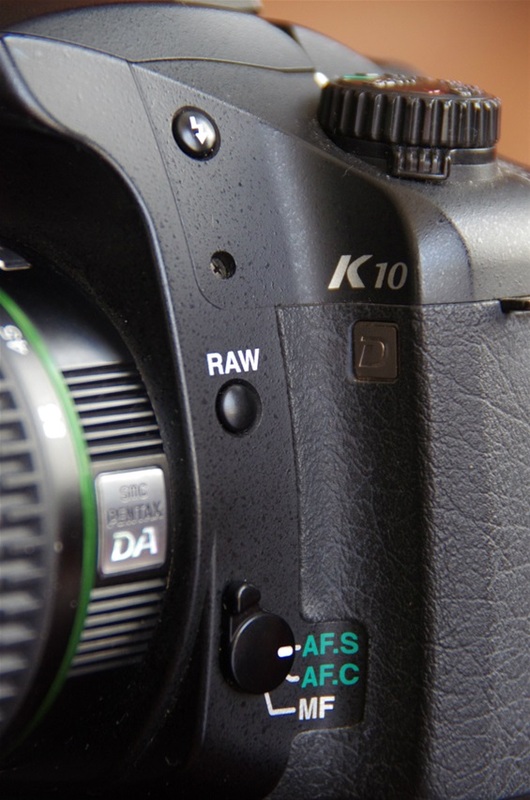 The K10 D won japanese reward "Camera of the year". Samsung released their parallell program through the 10 and 20 series. 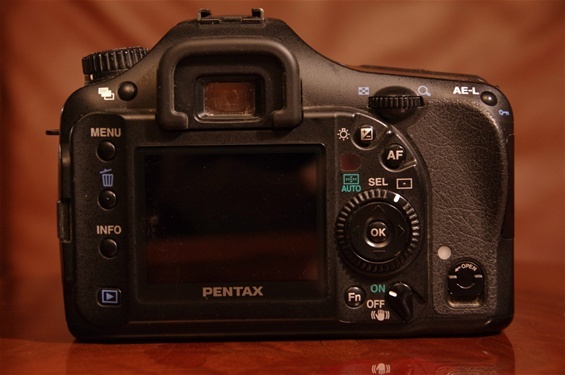 As Nikon and Canon had got their know how through working with Kodak during the late 90's, Pentax got the necessary assistance from HP and Samsung. 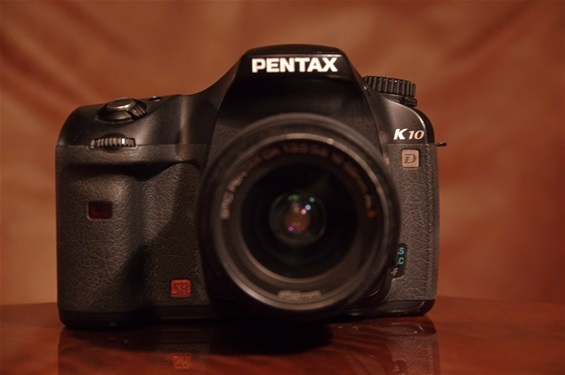 The K 10 marked the first serious attempt from Pentax to come back after a slow start in the digital SLR world. Again the build quality, the ergonomics, image quality was praised. 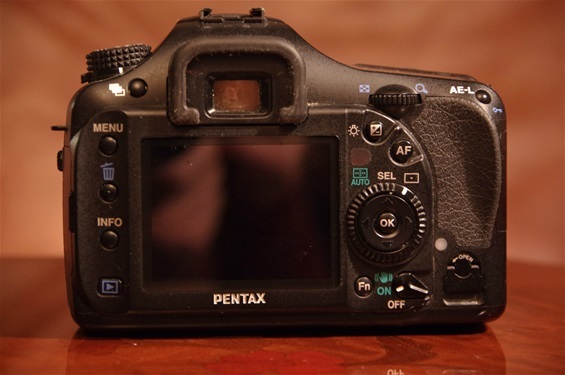 Pentax is earning the title "the outdoor camera" due to its more than 70 water and dust sealings in the body. It features Shake Reduction and Dust Removal. 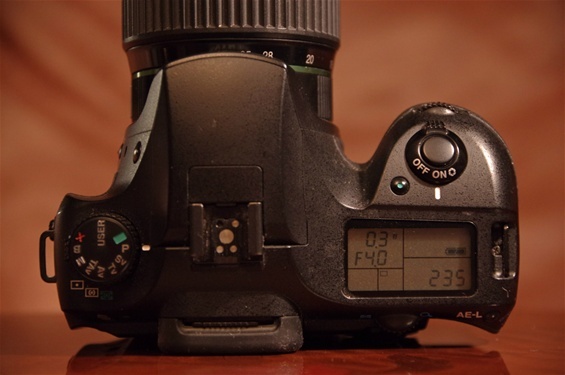 The CCD sensor had 10,2 MP. Size: 141,5x101x70. Weight: 710 grams. Sn: 2280878. 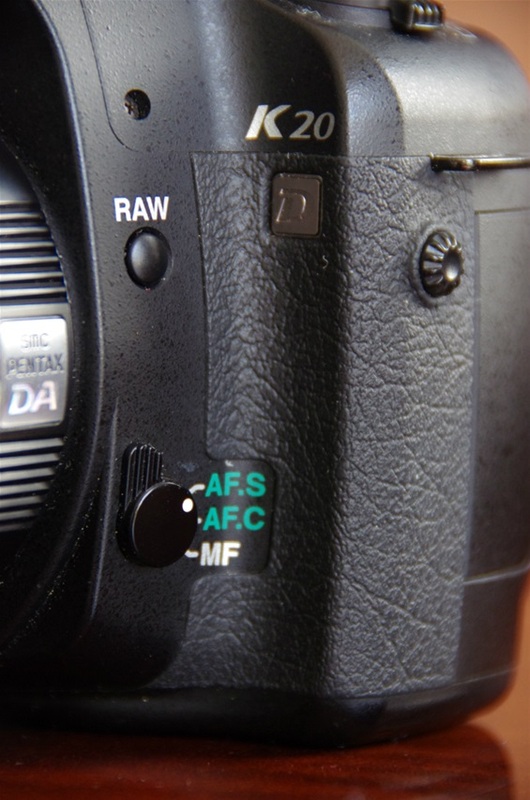 The controls were placed logically around the camera in a system partly inherited from earlier film cameras. 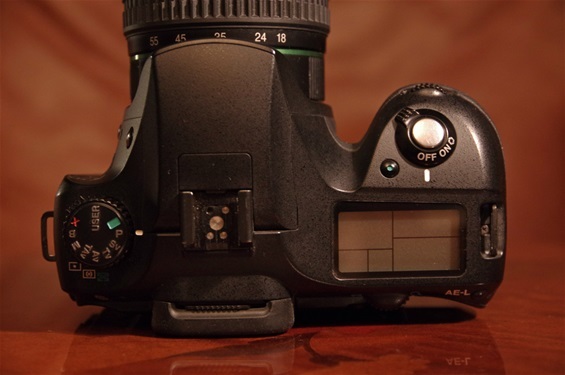 Mode button with some new modes never before seen on other brands, like the SV and TAV options. Following up and developing the *ist D. I bigger LCD screen of 2,5 inch with 210.000 pxls. One of the first DA lenses, the SMC DA 16-45/4 ED AL (IF), was a popular and optically good lens. But it gave shadows with TFR flash from 16 to 25 mm, as it extracted on wide angles and compressed at tele range. Sn. 5196227. 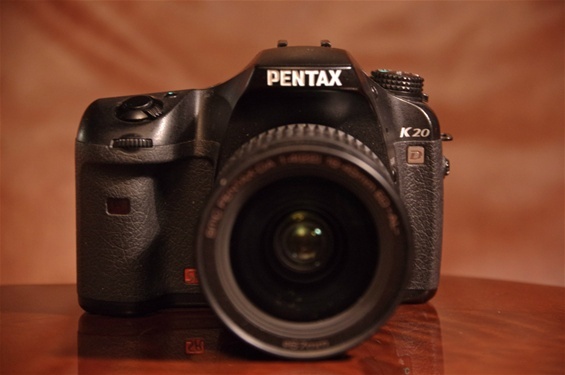 Exactly the same look as the K 10, but with some improvements inside: New sensor, a CMOS of 14,6 MP. Size: 141,5x101x70. Weight: 715 grams. Sn: 2939991. 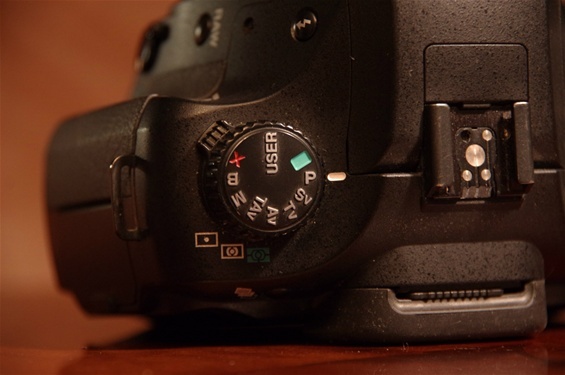 As on the K 10 D.
Identical to the K 10 D on the top..
while the rear wall featured a 2,7 inch screen with 230.000 pxls. Otherwise identical. Kit lens SMC DA 18-55 3,5-5,6 AL II of 2008. Sn. 6258095.